How Much Do Braces Cost in the UK? Home / How Much Do Braces Cost in the UK? There are many different types of braces available, and it’s amazing how varied they are even though they pretty much all have the same end goal in sight. Of course it will be up to your dentist to actually determine which type is best for your own particular situation, but being slightly better prepared yourself is never a bad thing. 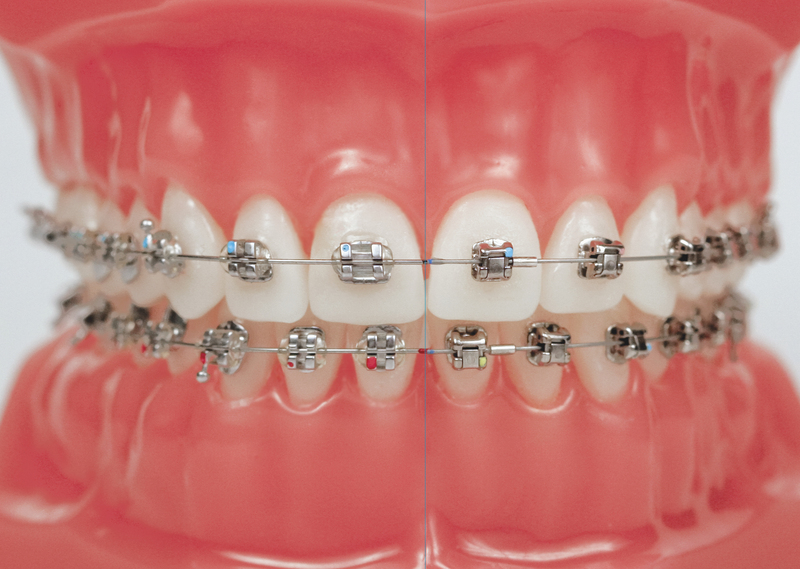 Here we’ll look at how much different braces cost, and what you can expect from each treatment. 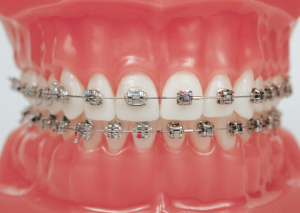 Metal braces are probably the type that people are most aware of, and it is easy to understand why as they are the type that is most commonly used in the UK. They are typically the least expensive option; however, the negatives are quite cleat to some people. Because they are metal, they have a tendency to be quite large and although the look has improved significantly over the years it can still put some people off. 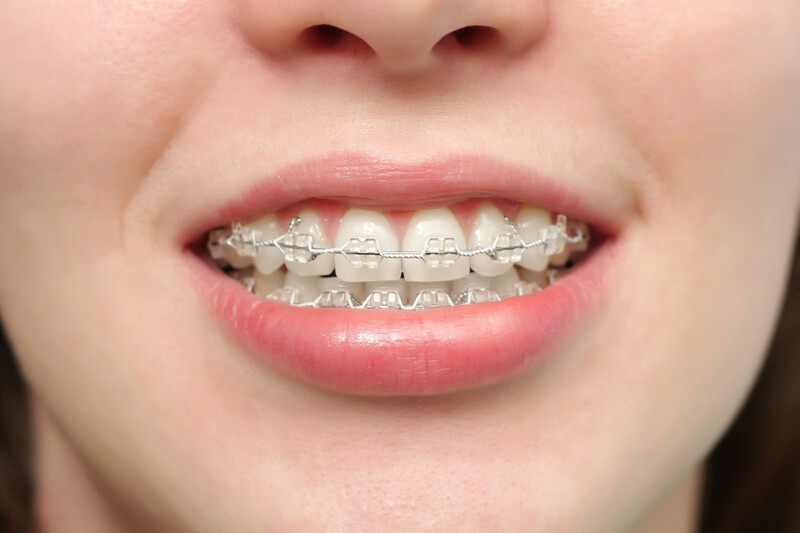 Metal braces are very much the traditional option and they remain extremely popular and effective, despite the prevalance of the various new orthodontic treatments. Adult metal braces cost between £2,000 – £2,500 when fitted by a private dentist, or with NHS treatment you can expect to pay around £219 if it’s not purely a cosmetic treatment. 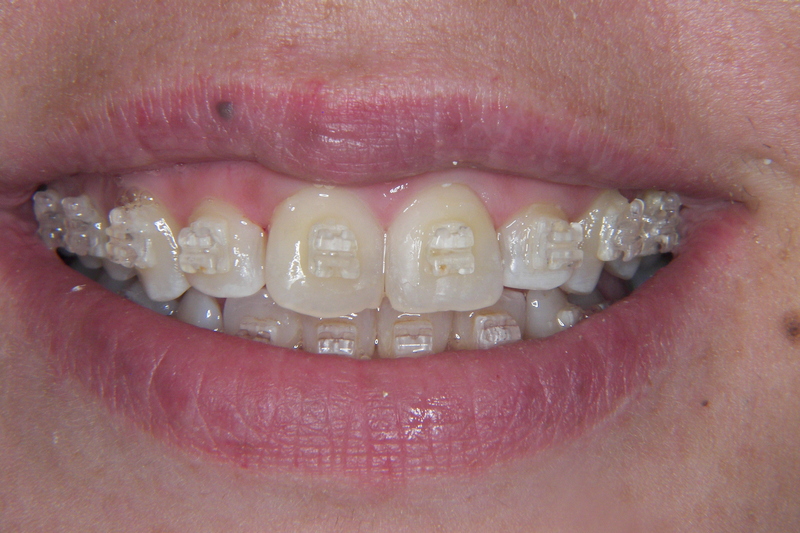 Ceramic braces share a lot of the same characteristics as metal braces, but with one major difference. 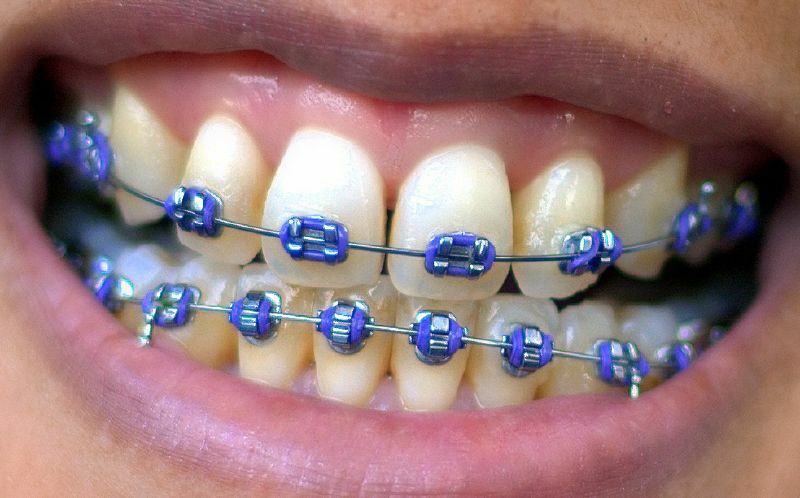 They are tooth coloured, so they are far less visible than traditional metal braces. Some versions will even make sure that the wire that runs between them is also tooth coloured, further helping to disguise them. Ceramic braces have been shown to be capable of adjusting teeth faster than some alternative types of braces. However, you do need to work hard at keeping them clean as they can stain and become discoloured if you are not careful. 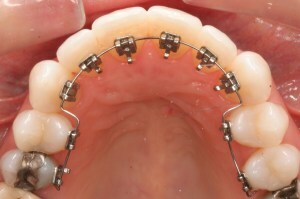 They are also quite a bit more expensive than metal braces, so that may have to be taken into consideration. Expect to pay around £2,000 – £3,000 for ceramic braces from a private dentist. Lingual braces are made in the same way as metal braces, but there is a major difference as this type is actually placed on the inside of the teeth rather than the outside. This is done for specific dental reasons, but clearly it does give the wearer the added advantage of knowing that they cannot be seen by others. However, there are a few issues with them and perhaps the main issue is that they are very difficult to keep clean due to their placement. They can also be rather uncomfortable at first – they need to be adjusted quite a lot, and they are more expensive than the normal metal braces. The price of lingual braces is generally between £3000 – £5000, with the eventual cost determined by your own unique situation. Invisalign braces are completely different as they are actually a series of plastic aligners that are custom made for you. 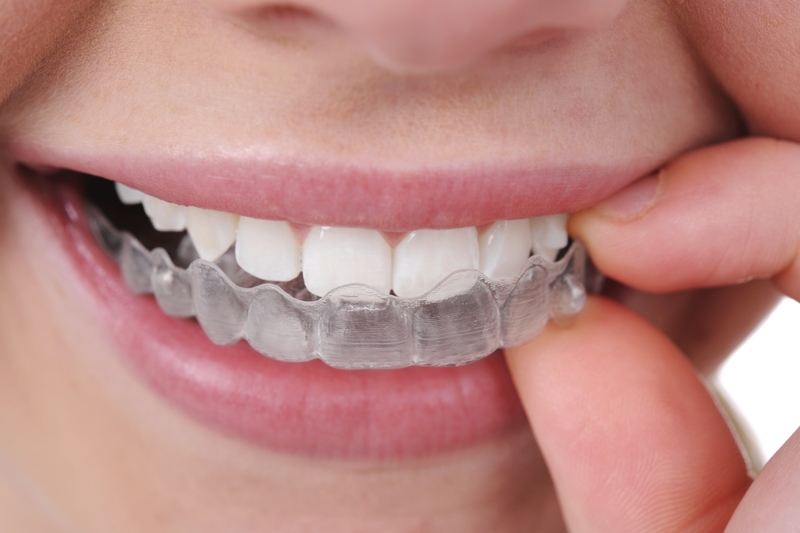 These aligners are replaced at set intervals to gradually realign your teeth to the desired shape. The real selling point of Invisalign is that the aligner is essentially invisible, and allows you to eat, drink and care for your teeth as you normally would. They are very expensive to have and it can take slightly longer for them to work than aggressive treatments like 6 month smiles, but the fact they’re basically invisible makes them an attractive option for people. Damon braces work in the same way as metal braces, but they are certainly a lot more discreet. They are actually clear in colour and bonded onto the teeth, but thanks to the sliding mechanism incorporated into the design it means they do not have to be constantly tightened as the teeth move. 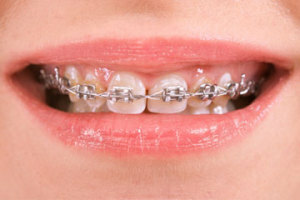 The benefit of using these braces are of course that they are not so obvious, and they are able to be used for not only adults, but also kids as well. However, you do need to work hard on cleaning them as they can become stained and suddenly will not be as clear as they used to be. WIth proper care they can be a very effective treatment which is also aesthetically appealing. The cost of Damon braces varies significantly depending on factors like age and which kind of braces you choose. Prices for adult private treatment ranges from £1,700 – £3,500. Smart bracket braces are crammed full of technology as they actually contain a small microchip that regulates how they work. At first they do look rather similar to the normal metal braces, but they realign and move without causing as much friction or potentially damaging the teeth. These braces will be worn for a shorter period of time as they do work quickly, but they are more expensive than metal braces thanks to the technology and they are still very visible when compared to more subtle treatments like Invisalign. Expect to pay between £2,000 – £3,000 for smart bracket braces. Clear braces work in the same way as conventional braces, which means they bonded onto the teeth and rubber bands between them, but they are not as visible thanks to the clear materials used. They are somewhat of a middle ground between traditional braces and modern treatments like Invisalign, offering the traditional approach to teeth alignment with an eye on the aesthetic side of things. They offer similar issues when it comes to cleaning and comfort as traditional braces, so they require regular maintenance and good dental hygiene. Clear braces can be between £3,500 – £4,500 depending on your own unique circumstances. 6 month smile braces really do look at the short term approach, but then that in itself is a major positive for most people as they are often faced with wearing braces for well over one year. They use clear brackets and the wires are also tooth colored, so they do not stand out as much as metal braces, but of course this then alters the cost of having them in the first place. They use low movement forces and this helps to reduce the time spent trying to straighten your teeth and can be used for a whole host of dental issues. You can find out more about 6 month smiles in our article here. 6 month smiles generally costs £1,800 – £3,000, although this will vary depending on your dentist and your own situation. There are various different types of braces available, and the best kind for you depends on several factors – what your dentist says, what the problem actually is, and of course what you can afford. While private orthodontic treatments can be expensive, there’s no doubting how effective modern treatments are for misaligned teeth. Some types of braces cost more than others, so try to balance the price with the effectiveness of the treatment. By investing in one of these effective treatments you can look forward to a better smile and straighter teeth just like you have always wanted.